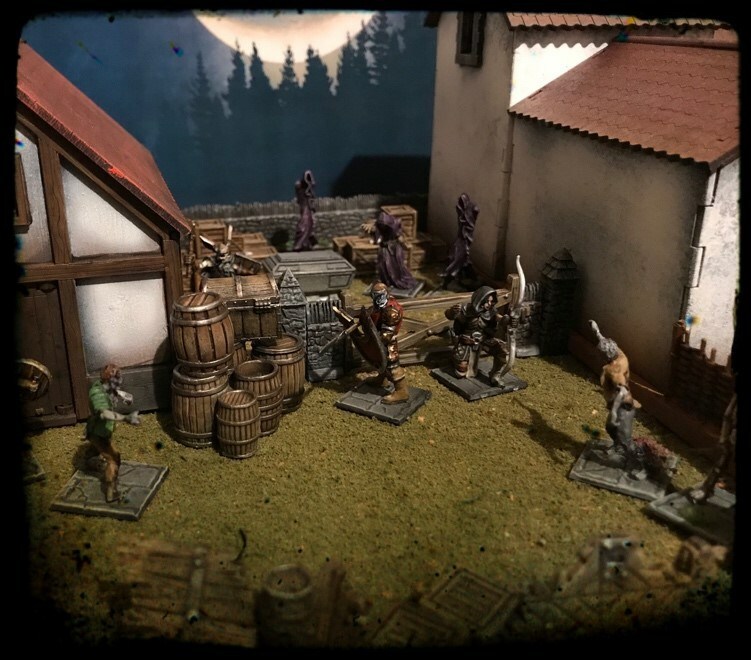 For the latest My Warband, My Story entry, we’re handing over to Matt Green. Matt is the co-organiser of the very successful King of Herts KoW tournaments and will also be organising the Kings of War element at the upcoming Franticon event, which you can read about here. Preparations were moving apace. Sure, his acolytes were dying, but only the weak ones. He had promised them eternal life, but if they didn’t have the strength to grasp it… well, they could serve him as wraiths. What is the word of a necromancer anyway? This warband was started with two pretty clear objectives in mind. 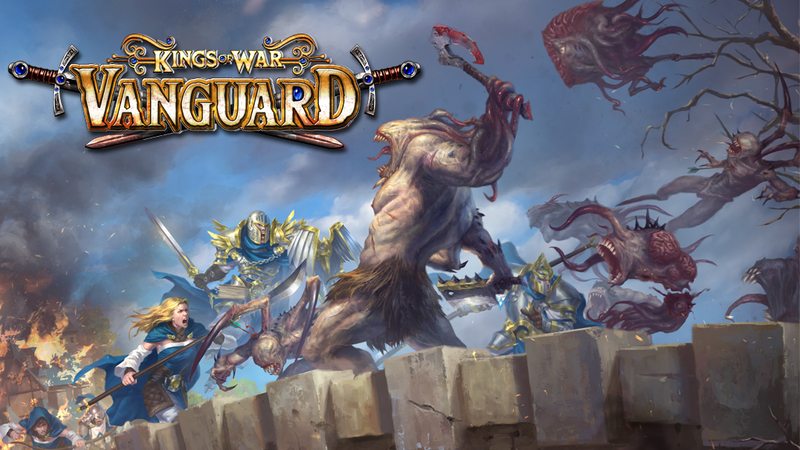 Firstly, we had decided we were going to host some games of Vanguard at our Kings of War tournament, Kings of Herts, that was being held on October 27th. While I had planned to assemble some of the lovely new miniatures the week before the event, I’d not have a fully painted force, so I needed to start early. Luckily, it’s not hard to find beautiful models amongst Mantic’s fantasy catalogue. That bought me to my second objective, using some of my favourite models from the little gem that is Dungeon Saga. It was time for Mortibris to ‘raise’ himself and his minions up, out of their dungeon above ground. The first draft of my warband was centred around a necromancer. Our group had decided to start reasonably small, warbands of 150 points. He was followed by two ghosts to serve as wraiths, the lovely dwarf revenant and the points filled out with skeletons and zombies. Now, that’s a lot of grunts, but I was confident the undead special rules meant that was no bad thing. Equipment was pretty much determined by the models. I’d chosen two of the shield armed skeletons, so they would be given the ‘large shield’ upgrade and would serve as my commander’s bodyguard. The iconic scythes carried by my remaining three skeletons looked particularly wicked and deserved the ‘heavy weapon’ upgrade. A couple of other items sprinkled about bought me up to 150 on the nose. The first battle with this warband turned out to be a hoot. It quickly became clear they were very different from the orcs I’d learned with. I’d originally planned to move slowly towards the beacon and warm my opponent’s greenskins with my superior numbers. What I quickly realised, was that in the right situations, the undead can be quite nippy. The wraiths are fast and hard to kill. They were soon upon the enemy defending the beacon and I was convinced no messages would make it out to any waiting armies. On the other flank, pushed forward by the power of the necromancer’s magic, the bulk of my forces advanced almost as rapidly. It also became very clear to both of us, that the undead don’t go down for long and that a necromancer is a master of dark magic that turns his cheap minions into real powerhouses. My opponent also worked this out and my over enthusiasm with surge had left Mortibris a long way from his bodyguards. Sadly, I quickly discovered a Krudger to the face puts an end to almost anyone, especially squishy magic users. Certain victory turned to ignominious defeat as the death of my commander lead to the breaking of my forces. – ‘Surge’ and ‘back from the grave’ make even the cheapest grunt a real threat. – ‘Deathless bond’ means your necromancer must be protected. My next few games revealed more about this faction. The ‘mob’ rule allows zombies to gain crushing strength when used in numbers. This is a wonderfully thematic rule, and the image of tides of foul zombies pulling down larger foes is too good an opportunity to miss. Two more zombies joined my band. The need to have something reliable that could act upon its own led me to add a werewolf. The awesome Lycanis model didn’t make that decision any harder. Most importantly the repeated death of my necromancer convinced me I needed two, but this is the undead. Life (well undeath) is cheap and fitting in two command models was quite doable. The learning games are over, the practice games and the demo games are behind me! Next week we start our campaign and I think I have my main 200 points sorted. A beacon, how quaint. So, these Basileans believe themselves a light in the dankness, both as metaphor and in fact. Well, candles can be snuffed. Fires can be extinguished. Come my puppets, there is work to be done. 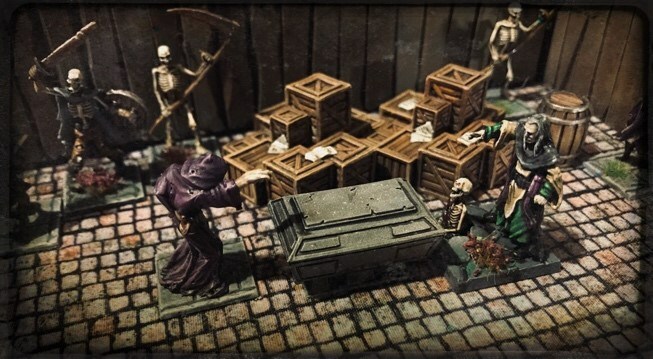 The post My Warband, My Story – Matt Green’s Undead appeared first on Mantic Blog.